shop 3 1 Mighty Stylus Pen 8GB USB Storage Drive | bargainbrute. Mighty Stylus is a 3 in 1 tool. 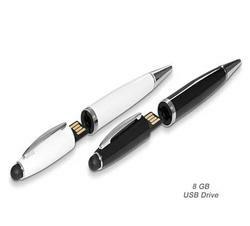 It's a Stylus, a Pen and 8 GB USB storage drive. Mighty Stylus is a most useful tool for any student as they can save their assignments on the USB drive or quickly share them with their friends. It is functional as a stylus and has pen to write with it. The USB Drive is compatible with Windows or Apple computers. Requires no power, it works instantly when plugged in to a USB port of a computer. Invaluable gift and a much needed tool for everyone. USB drive is 8GB capacity enough to store 2 million pages of data. Comes in Black and White. (IPad not included).